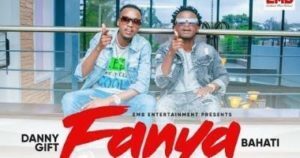 Few months after all of his artists left the EMB records, Bahati is back on the screens with “Fanya ” that he features Danny Gift. Danny Gift of the famed ‘Kazi ya Msalaba’ which featured daddy Owen is now signed under EMB records that is owned by Bahati. The song was released at the EMB Rebirth at KICC . ‘Fanya” being their latest song together. The song Basically encourages people not give up in whatever they do for God will ‘Fanya kuliko alivofanya jana”. Thus serves as an inspiration to many to work harder with expectations from God. The song’s lyrical approach for was a bit low per. 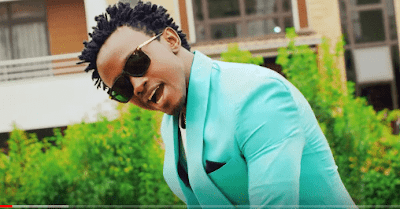 Bahati is an award winning artist with hits like ‘Mama‘ and ‘Machozi‘ which did so well. As much as Danny Gift is being re-introduced to the industry, he too is known for good gospel lyrics. Many would feel that the “Fanya” has been over used in the song even where it is not needed. Despite the clear message in the video the lyrics did not give us the urge to yearn for more in the song. Did he come back too soon? The song is produced by Paul of EMB label and Directed by Ivan, the song has good camera work and the story flow is very easy to relate to. Ile kitu naskia hapa ni Fanya fanya to…really?? No message totally 👎 U can do better than this bahati among many more. For rating purposes I give it 5/10.I believe they can do better than this. Below is the video,tell us what you think.